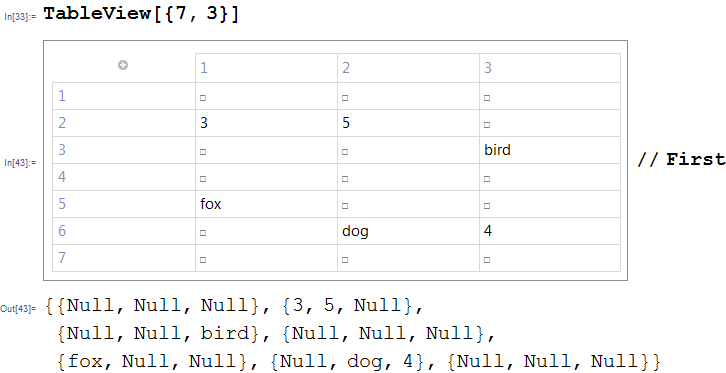 My question is, what's an easy way to get the same functionality for a Mathematica notebook? 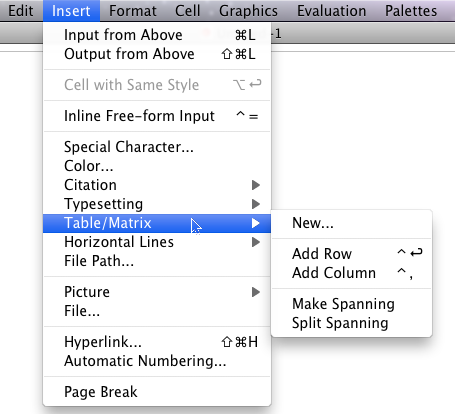 I would like to be able to create tables containing text, images, or inline math writing. 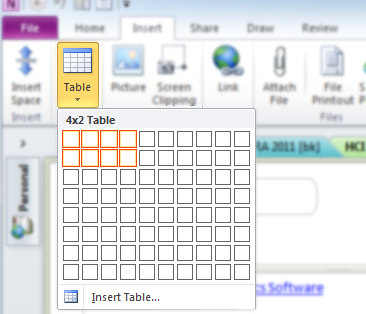 Editing a cell in a table should be just like editing the contents of a text cell. 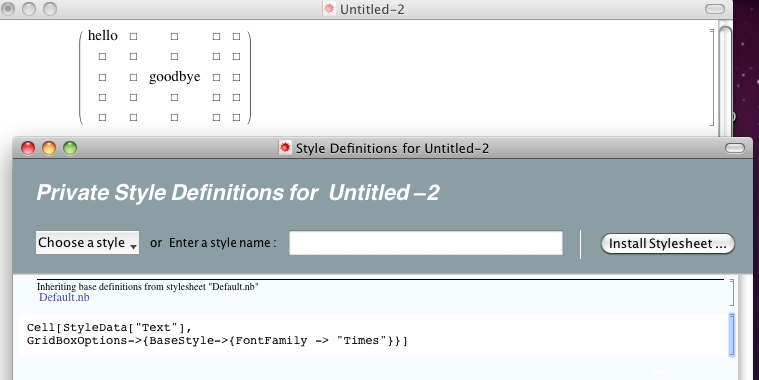 Ideally, the appearance of the table would be customizable, e.g. cell border and background colors. Here I've changed the font to Times and you can see the change in the input cell. Note that you have also commented about alignments. You can set the grid alignments the same way. I'd suggest that you read up on various alignment points in the Grid documentation. Stylesheeting is beyond the scope if this Q&A but if you search you will find information about how to go about this. I'd suggest this is your best option for regular routine use. Finally, to style tables and output a set of rules for later use a demo can be seen here from which a slightly reduced set of features can be downloaded. If presentation / formatting is a priority then I would use a program that excels in that and export / import the Mathematica results I need. Not the answer you're looking for? Browse other questions tagged front-end formatting table palettes document-creation or ask your own question. 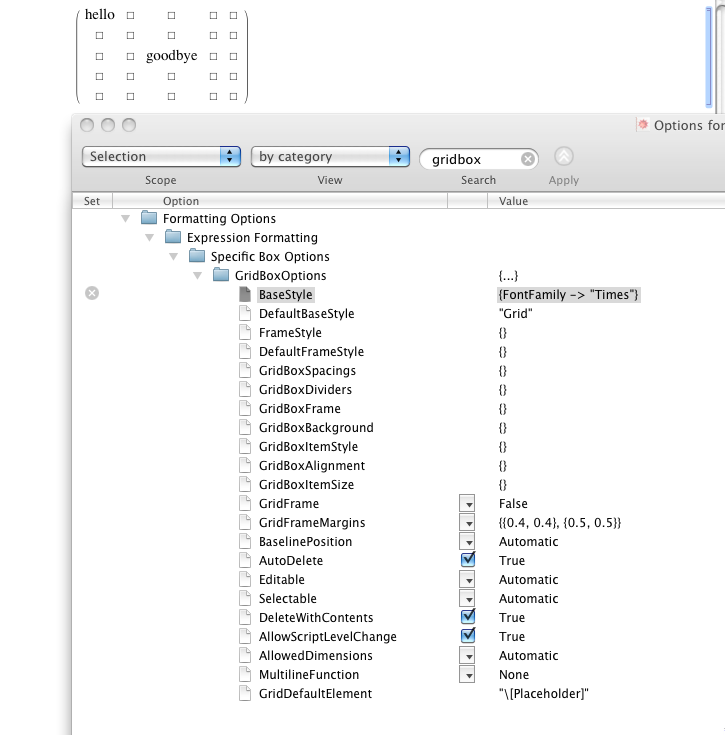 Is it possible to enter tabular data in Mathematica? How do we make a negative integer out of a string of a negative number and vice-versa?